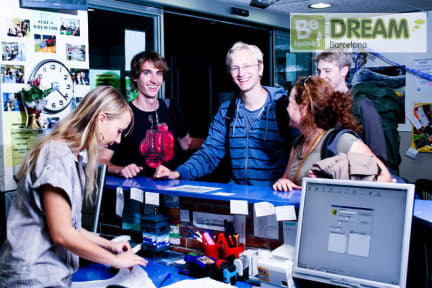 Be Dream Hostel kohteessa Barcelona, Espanja: Varaa nyt! Staff was nice, dormitory was quiet and bed was good. Not a party hostel but a big one. Dormitory's bathroom and toilet doors had broken locks the and they were really dirty. Air condition is really lazy.